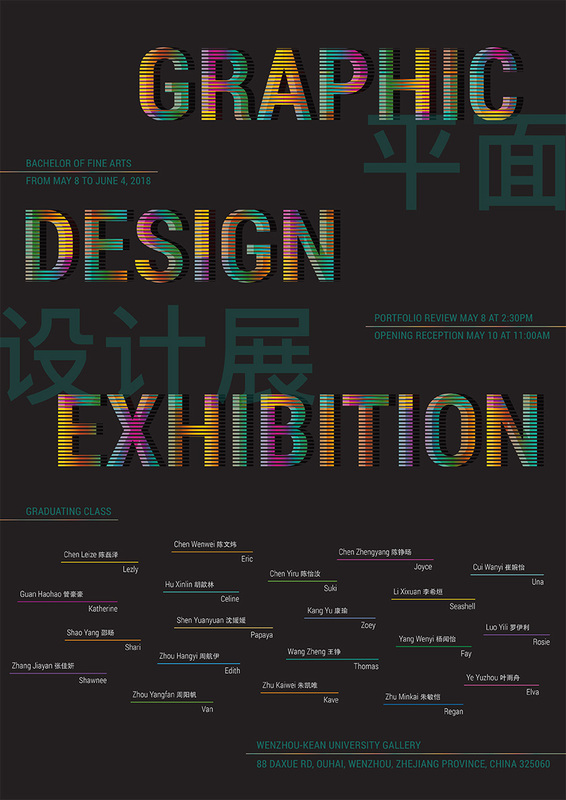 This exhibition showcases the design works of the graphic design graduating class at Wenzhou-Kean University. The portfolio review is on Tuesday, May 8 at 2:30PM, where students will be presenting their design portfolios to creative professionals and educators in the community. The opening reception for the exhibition is on Thursday, May 10 at 11:00AM, concurrently with the Thinking Creatively Conference + UCDA Asia Event. The Michael Graves College at Wenzhou-Kean University welcomes your attendance!